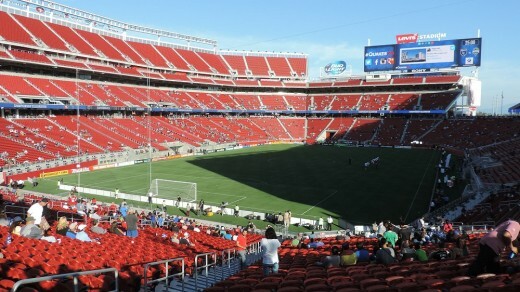 Levi’s Stadium was born almost 10 years ago, at least on a conceptual level, reports curbed.com. 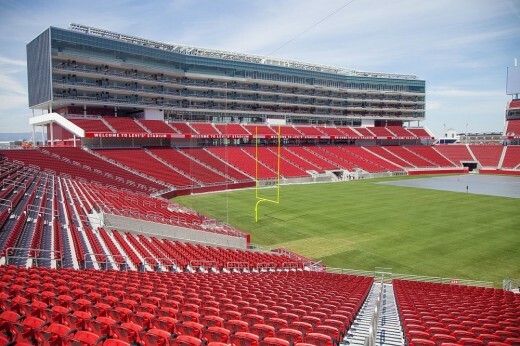 Back in 2006, the York family commissioned design firm HTNB for what was then supposed to be a new Candlestick Park. 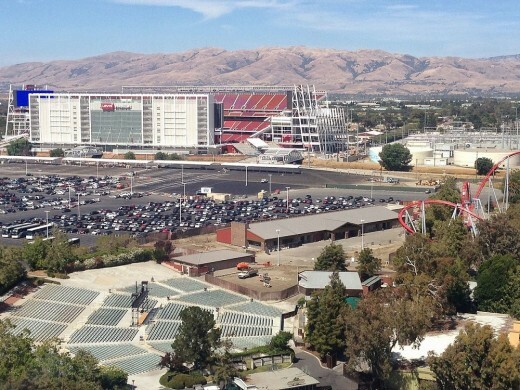 The eventual stadium location was 40 miles away. 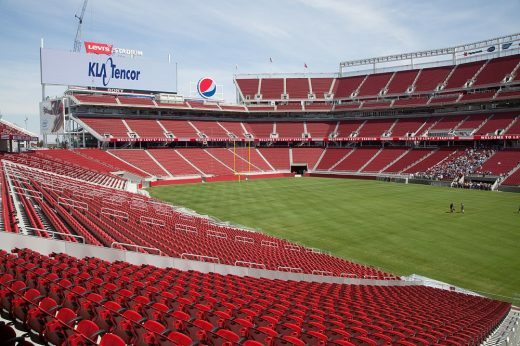 Recently the Levi’s Stadium hosted 75,000 fans and 100 million plus viewers at home for Super Bowl 50. 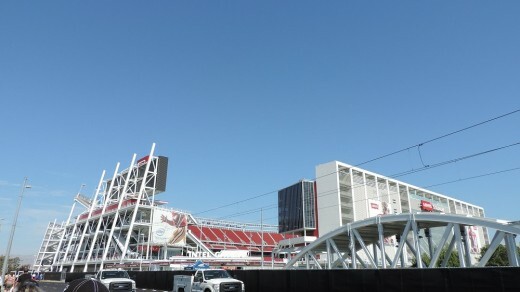 From the outside, the steel-structured Levi’s has almost a cubist look. The old Candlestick was shaped like an oblong bowl, while Oakland Coliseum is a giant ring, but from the air you can see that Levi’s is an irregular dodecagon. That straight-lines-and-steel look is partly a seismic concern—concrete and earthquakes are bad mojo together. The support columns are only 32 feet apart, and they slope outward as as they rise to the upper deck, making the whole thing a fairly solid and compact unit. They even went so far as to forego any exterior skin on the building, leaving its gridded steel interior exposed just to show off the work. “The plates, the tie rods, it’s all right there,” says Cahill. Look closely and you can even make out the giant, white, tube-shaped braces installed to absorb the force of an earthquake—a comfort, perhaps, for our Super Bowl visitors anxious about visiting such a famous seismic zone. The oft-cited living roof, solar panels, and recycled water (used for irrigation and to fill the toilets, since it’s not yet legal to sell recycled water for drinking in Santa Clara County) were big factors, but little things like reclaiming redwood paneling from an old hangar at Moffett Airfield to use in the clubhouse added up in the margins.